Place. Land. Country. Home. These words frame the settings of our stories. As the natural environment changes radically, Writing the Country examines the unique beauty of the world around us, and asks impassioned questions about what we can do to treasure, nurture, preserve and enhance the earth we share – as well as consider the consequences that might unfold as the climate crisis escalates. 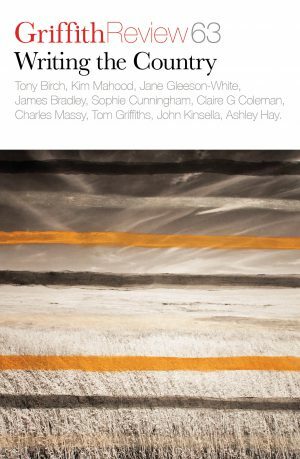 Edited by Ashley Hay, Griffith Review 63: Writing the Country features key writing from Tony Birch, Claire G Coleman, Kim Mahood, David Ritter and Andrew Stafford.